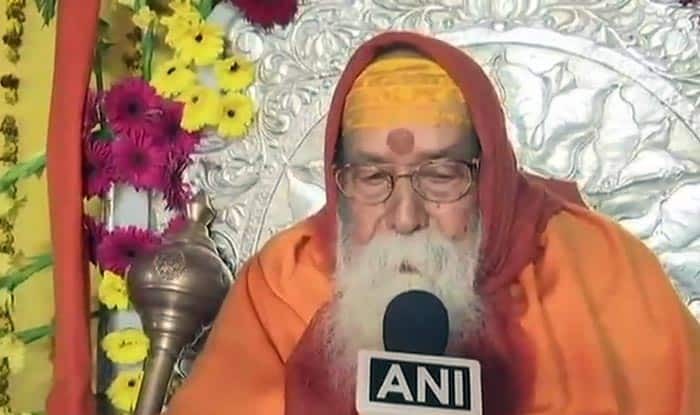 New Delhi: Swami Swaroopanand Saraswati on Wednesday said that the foundation stone of Ram temple would be laid on February 21, 2019. The saint added, “We are not violating any order of the Court. Until the High Court’s order is quashed by the Supreme Court, it is still applicable. Wahan Ram Lalla virajman hain, wo janmbhoomi hai.” Swami said nothing would deter them and all those mobilized for the effort by arrests or any other kind of obstacles. The decision came a day after the government approached the Supreme Court for permission to restore the “excess” land surrounding the disputed portion in Ayodhya to Ram Janambhoomi Nyas. The government, in a petition, sought direction for releasing to the Nyas 67 acres, which it had acquired about two-and-a-half decades back, leaving untouched 0.313 acres of disputed. Notably, the government’s move did not go down well the opposition parties. The Congress questioned the timing of the plea, while the CPI(M) claimed that the government’s move was aimed at appeasing the Sangh Parivar ahead of the general polls. “People will decide on the intent of its “sudden” move which has come merely a couple of months before the Lok Sabha elections,” the grand old party said. CPI(M)’s politburo said it was a “devious” effort on the part of the government to “pre-empt” the decision of the Supreme Court. Earlier in the day, Nirmohi Akhara, a party in the Ram Janmabhoomi-Babri mosque title suit said that it will challenge the government’s move if they don’t give its objective behind it. “If the government takes the land without telling the purpose, we will challenge the move in the court. Nirmohi Akhara’s land also falls in that undisputed area, and that part should be given back to us. We have not taken compensation against the acquisition of that land. There was Sumitra Bhawan, Saligram Mandir, Sankatmochan Mandir and a Katha Pandap which were demolished after the acquisition,” Mahant Ram Das of Nirmohi Akhara was quoted by a leading daily as saying.